WISE East US offers various levels of memberships, each with their own benefits. Becoming a WISE member means joining a large community of like-minded entrepreneurs and business people and networking with the brightest minds in the field of commerce. The extra benefits you will receive as a WISE member enables you to make full use of all the technologies and resources at our disposal to grow your business into a flourishing enterprise! These benefits and services are detailed in the pages to follow. Click on any of the benefits opposite to go directly one of them or click “continue” to browse through them. Become a WISE Member today and start your route to prosperity! Who is it for? Employees who seek to participate in the WISE membership, its benefits and activities. Individuals interested in starting a business someday and want to connect up to learn and collect options. Business owners or self-employed are not eligible for Individual membership. What is its purpose? To provide some of the benefits of membership that are useful to employer and employee alike, and to get onto the communication lines of the membership. Free listing in the WISE On-Line International Business Directory. Access to local Effective Management meetings and seminars, as well as regional and international conventions. Access to the Standard Dispute Resolution Service, the only dispute resolution service based on L. Ron Hubbard’s ethics and justice technology. Step-by-step checklists, instructs and tutorials implementing the Hubbard Management System, downloadable from the “Member Resources” section of this website. Regular mailings of secularized articles on management based on the works of L. Ron Hubbard. Regular emailings of the WISE e-newsletter, EFFECTIVE MANAGEMENT. A copy of each future issue of PROSPERITY magazine and weekly Prosperity Updates online. Discounts on many of the Hubbard College Press publications and materials, as well as member discounts on WISE conventions and events. Who is it for? Business owners with few or no employees, or who want to be members but are not ready to commit to training their staff in-house. What is its purpose? To provide immediate tools to implement the Hubbard Management System into one’s career or business. A WISE General membership card and pin. One copy of The Model of Admin Know-How workbook; the prosperity tools of the Hubbard Management System on one volume plus simple step-by-step procedures for implementation in any business. Access to legal form templates and write-ups for use in introducing the Hubbard Management System to new hires, employees, and more. The right to use (in accordance with one’s membership agreements) the term “WISE” and the WISE Lioness & Cubs logo to signify membership in WISE. Use of the WISE Issue Authority service to gain approval on items which contain L. Ron Hubbard’s works such as internal policies and directives, as well as products and/or services for re-sale to the public. The right to apply for a license to deliver one-on-one consulting based on the Hubbard Management System. Who is this for? Business owners with up to 20 employees or for persons desiring to deliver paid seminar or training services based on the works of L. Ron Hubbard. What is its purpose? To implement basics into a small business by establishing an in-house program of online training and courses in the fundamentals of the Hubbard Management System as well as, when licensed, to clients. A WISE Company membership card and pin. The right to assign complimentary Individual memberships (with full benefits) to two deserving partners or employees. Basic Staff Training- an introduction to the fundamentals that every member of the team must know, like org board, stats, etc. Can deliver Hubbard College Workshops authorized for the Company Membership in-house for the price of materials. Can deliver the Hubbard College Courses authorized for the Company Membership in-house for the price of materials. May apply for a license to deliver paid consulting services based on the Hubbard Management System including one-on-one consulting, seminars, workshops, and delivery of the Hubbard College Workshops and Courses authorized for the Company Membership level. May apply for and receive Charter Member status upon verification by WISE International of an excellent ethics record. Who is this for? For members who are ready to learn and implement the full Hubbard Management System, not only the basics. This level includes specialized training in Finance, PR, Marketing, Sales, Leadership, etc. Members with more than 20 employees do not qualify for Company membership and acquire the Corporate membership to implement any staff training program with their employees. This is also for Consultants who want to deliver more than just the basics of the Hubbard Management System to their clients. What is its purpose? To create a highly successful, expanding organization by implementing all elements of the Hubbard Management System, not only the basics. A WISE Corporate membership card and pin. Can deliver Hubbard College Workshops authorized for the Corporate Membership in-house for the price of materials. 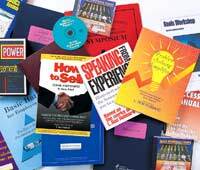 Can deliver the Hubbard College Courses authorized for the Corporate Membership in-house for the price of materials, including specialist courses in Sales, Marketing, PR, Finance, Leadership, Organization, Executive skills, over 30 courses in all. May apply for a license to deliver paid consulting services based on LRH administrative technology including one-on-one consulting, seminars, workshops, and delivery of all courses at the Corporate member level. WISE International and its offices stage major conventions throughout the year. These conventions provide members in-depth briefings on the latest dissemination campaigns, new materials and products. They include round table conferences where the membership can exchange successful actions and make proposals to WISE officers and executives. * The WISE International Convention in Los Angeles. Additionally, WISE offices stage numerous events throughout the year in major cities within their continental areas. Convention agendas always include numerous seminars and workshops covering different aspects of L. Ron Hubbard management technology. WISE conventions and events revitalize and boost attendees, offering workable solutions which can rapidly be applied, as well as opportunities for attendees to network and plan local activities. Local WISE Membership Associations such as the Effective Management Association provide seminars, events and meetings to both assist the local membership in their application of Hubbard management principles and to introduce others to them. These seminars are commonly delivered on a monthly basis. Whether living in the community or passing through on business, all members are welcome to attend. Typically, local WISE member seminars will present guest speakers and cover areas such as finance, management, organization, marketing, promotion, sales and personnel. There is always an opportunity to network and get briefed on local membership activities. WISE membership is an opportunity to meet like-minded professionals of all walks of life and not just in your community. To help our members connect up, we provide the WISE International Business Directory. This is the definitive guide to business people who use Hubbard management technology. All members are listed in the WISE Business Directory and receive a copy. Members may provide a concise description of their company or themselves to include in their listing and may also advertise their services or products. This publication also includes listings of all groups within the WISE membership, including Hubbard management consultants and WISE Membership Associations. How can I be listed or advertise in the WISE Business Directory? When you sign up as a member of WISE from this site, your information is automatically collected. This information is then available to be incorporated into the WISE Business Directory (directory.wise.org). There are no specific requirements for being listed in the WISE Business Directory except that one is a current member of WISE. PROSPERITY is the official magazine of WISE. First issued in 1979, it has been providing members a window on all activities of the membership for a quarter of century. Be it WISE members meeting with the President at the White House or disseminating L. Ron Hubbard’s administrative works at the Kremlin before the Iron Curtain fell — PROSPERITY has been there to record it. As PROSPERITY is a membership publication, contributions from members are welcome — we have many openings for PROSPERITY magazine correspondents. 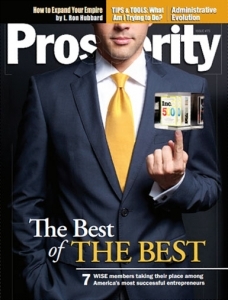 Click here to see the most recent edition of PROSPERITY Magazine. * How to establish an on-site training program for employees, and more. This service guides you to the exact Hubbard management principle or technique you need. 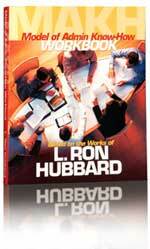 There are more than 2,500 articles and policies in L. Ron Hubbard’s organizational and management library. To help you pinpoint the precise technique or policy to implement in your career or company, WISE offers the Policy Help Desk — a toll-free direct line to highly trained WISE staff. * Friendly staff ready to service you with no long waiting times. * Each staff is a highly trained graduate of the Hubbard management technology. * We’re open 7 days a week, 9 am to 11 pm Pacific Standard Time (Sunday 1pm to 10pm). * You can e-mail us at any time and have a response, either the same or next day. The Policy Help Desk is available to any business owner, executive, employee or single professional who is a member of WISE. The toll-free direct line is 1-800-477-WISE. “I needed to know how to increase new business into my public division. I called the Policy Help Desk at WISE and they located an article by Mr. Hubbard which covered this point exactly. I can now apply this with the certainty that it will work” — R.B. The Model of Admin (Administrative) Know-How workbook shows you how to implement into your business L. Ron Hubbard’s organizational and management principles. It covers how to optimize a business for maximum production and profit, how to intelligently delegate workloads, how to create a competent, productive team and how to stamp out inefficiency and waste. This is a perfect tool to create a business plan for your company’s development and growth. Doing this workbook, you’ll come to understand exactly why more than 140,000 companies have applied L. Ron Hubbard’s management principles to their businesses. L. Ron Hubbard discovered the exact functions which comprise the universal cycle of production — the steps to create a product or deliver a service. Regardless of the type of business, omitted functions from this cycle can prevent high-quality products from being produced in a large and viable volume. These functions are laid out in an organizational chart known as an organizing board or org board. It is a pattern that can be applied to any organization, from three people to 100,000. This organizing board is the first principle you will implement in your company using the Model of Admin Know-How workbook, and by doing so you can dramatically streamline production lines and increase efficiency. The use of statistics is the only way to accurately measure production. Thus, the second action is to assign statistics to every position and function in your activity. Statistics show precisely where production is lacking and indicate which technique one should apply to increase it. With statistics in place, one can analyze any business activity and take the necessary actions to improve it. Next you will implement L. Ron Hubbard’s renowned finance policy, a simple system which puts you on a course to financial independence and which ensures financial stability for your company. Thus the next vital action is to establish the Hubbard communications system. This includes a communication station for all employees with exact rules of communication protocol to get your organization humming with production. Training employees on the Hubbard management system is fundamental to growth and stability. Staff who know this system can build an organization which knows what it is doing, is able to rapidly and effectively correct itself and whose employees are, on their own volition, all forwarding strategy. The most efficient and cost effective way to train employees is using an in-house training program. The Model of Admin Know-How workbook details how to set up such an on-site training program. An additional program exists for the single business owner and/or professional. It is designed to implement the same basics as above but is tailored for the independent business professional. It is essential that each WISE member have a library of materials available to his/her employees for immediate reference. With this in place, all organizational questions can be readily answered without interpretation allowing your company to truly reap the rewards of this technology. WISE licenses all use of L. Ron Hubbard management technology in the business world. In fact this is the highest benefit of membership in WISE. A WISE license authorizes one to promote, sell and deliver Hubbard management technology services — it is the gateway to one of the most rewarding careers in business. Through licensing one can deliver one-on-one consulting, seminars, training programs and also develop and sell properties based on L. Ron Hubbard’s administrative works. Anyone seeking a career disseminating Hubbard management technology can apply for a license with WISE. In addition to licensing professionals, WISE provides materials, aids and services which both foster up-and-coming consultants and expand the services of existing licensed consultants. I would like more information on becoming licensed. I would like to connect up with an already-licensed Hubbard management consultant. I would like to sign-up and become a Hubbard management consultant. Our courses train you and your employees in the principles of the Hubbard management system and give you the knowledge and skill to create and successfully manage a business or career. 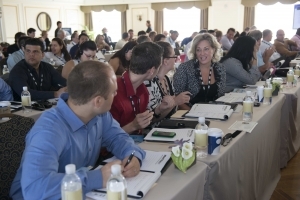 An entire team trained on L. Ron Hubbard’s administrative works puts everyone on the same page. Company, Corporate and CEO’s Circle levels of WISE membership allow one to deliver courses based on L. Ron Hubbard management technology right in your own company. Through this self-paced instruction method with its unique training tools, employees can gain a full understanding of the course materials and become able to apply on the job what they have studied. Below is a list of the Hubbard management courses which can be delivered on-site to employees or (with the proper license from WISE) as consulting services to clients. The course packs may be purchased from our on-line store as reference material to hone your skills or when setting up an on-site employee training program. Our Company Trainer program enables you to select an employee to train on the procedures and techniques to deliver courses. After a short period of instruction, your employee can deliver all of our Hubbard management courses on-site to you and your employees. In-house training is popular for two reasons: a) it is effective, and b) it is economical. The course materials for each employee. And, as there is no limit to the number of employees who can study these courses, a business owner can train literally hundreds of staff on the 26 courses available — all under one annual WISE membership. We are proud to announce a brand-new benefit, only for WISE Members, of a continuing series of bi-weekly webinars, presented by the best of the best in the Hubbard® Management System. These webinars will be like having your own personal business consultant! 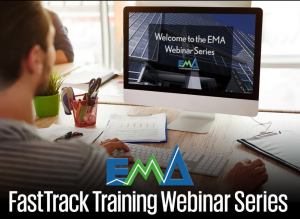 The webinars take place on the first and third Tuesday of every month from noon to 1 pm. Don’t miss the opportunity to get consulted by top WISE members who have been there too; pearls you can implement right away! Business, by its very nature, involves partnerships and agreements. It is these bonds and agreements which are the foundation of much growth and success. At times however, these relationships sour and disputes ensue; often quite explosive, they can crash production and consume those involved. The Standard Dispute Resolution service (an ADR, Alternative Dispute Resolution service) provides a swift, fair and inexpensive means of resolving conflicts and disputes in the workplace. 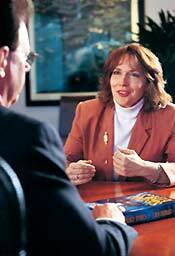 Using unique mediation procedures based exclusively on principles developed by L. Ron Hubbard, a dispute handler is able to get to the root cause of a dispute, thereby opening the door to resolution. WISE member dispute resolution services are provided by Charter members of WISE, trained WISE members specially appointed to deliver this service to members. Contact us to get answers on any questions you have or help you schedule a dispute handling if the need arises. The Hubbard Management System can be applied to any number of different industries, fields and activities through all manner of media (such as video, books, websites, courses, promotional items). WISE provides a service to help create, produce and distribute materials and products which quote from the works of L. Ron Hubbard or use related trademarks. Examples of this service could be: a WISE member who wishes to place a Hubbard management article in the monthly journal of his field or profession; another wants to create a book on how Hubbard management procedures apply to a specific field or profession; while another wishes to have a section featuring the Hubbard Management System on his company website. All of these examples and more would be approved through the WISE Issue Authority Line. The WISE Issue Authority Line ensures these products properly quote from the original text, are professional in appearance and reflect the integrity and workability of the technology they promote. This line ensures products are properly copyrighted and trademarked so the technology itself remains protected. Company policies and training programs. To find out more about the WISE Issue Authority Line, contact WISE East US.